NUMBER 2- What's your favorite color of Zoya Nail Polish? Entries must be received by 11:59 p.m. Pacific Time, Oct 23. "I follow The Daily Nail on both twitter AND on blogspot! I've been following for 374 days! My favorite Zoya color would have to be Yummy or Trixie!" Products up for giveaway were provided by the manufacturer, and can be purchased online at Zoya.com. I'm new to NPs so I haven't tried some yet but I'm looking forward to trying some when I'm already able to buy from our local store. I only have one color of Zoya but it is Charla and my favorite even though it isn't all that unique in comparison to the other brand dupes! I've been following for about 4 months now and I love all of your nail designs! My favorite Zoya polish is Vegas Freeze. It makes me want to go to Las Vegas every time I wear it! So sparkly! I have been reading everday for about 8 monthns. I have gone through and looked at all your post even attempted some the designs. I've never had the chance to try a zoya polish but everytime i see pictures of someone with ivanka on i drool. I've been following TDN since June! Out of the Flame Collection, I love Valerie. Such a pretty purple. I've followed on both Twitter and Blogspot for a week or so; reading and loving this blog for several months! My favorite Zoya color is Lola! Hey! I have been following everyday for quite a while now but I'm unsure of exactly how long. I did go back and look at every single post though and your blog is in my top sites in safari! I have a bunch of Zoya colours that I love but I always love to look at Nova, even just in the bottle; it's such a gorgeous glitter! I've been a follower since around January. Yay! My favorite Zoya color is Ki! It was my first Zoya, and I loved it. I've been foloowing your blog since february and I do it via GFC.. I have been following your blog since March this year and I really love it! My favorite Zoya color is tallulah. I love blue polish. I have been following you for a couple months, old school..I bring up yor blog from my favorites :) I LOVE your nail designs! I do not own any zoya nail polishes, I kinda keep in the under 2.50 range :) or watch for sales to splurge on revlon or something ..but I used to use opi and that was the most expensive I had used, I loved it! so in looking at their website, there are several colors that I loved! Kotori would have to be in my top 5! maybe top 3! oh..and altho I LOVE the giveaways, I have submitted my name on prob 3 of them, I do miss your nail designs! I am kinda going thru w/drawls! its been over 10 days! please show us some thing fun! I've followed your fantastic blog for about 6months now. Thanks for another awesome giveaway! i've been following you since uhh duhh like the beginning of TIME! not really, but it seems like it :) basically since the bacon nails went viral. and i've loved ever SECOND of it! my favorite zoya color is KELLY of course! I have been reading this blog for more than 200 days already. Both on twitter and blogger. But I love love love it! :D I wanted to get Ki too... but it never came. I've been a follower through for ten days now :). I don't own any Zoya polishs, but a favourite colour would definitely be purple! I'm a huge purple lover and nail polish that's purple gets a yes from me :). I've been following for about 2 months now. Such a creative mind you have, btw! I follow you only on blogspot for two months :). And answering to your question, my favorite Zoya color (I don't have any Zoya Nail Polishes, but I've seen pictures around...)is Zoya Edyta from the Wicked Collection... I simply loooooove it... and I really hope to get this prize!!! I've been following The Daily Nail for 65 days via blogspot. I've been a follower via GFC for a few months now! My favourite Zoya would have to be a tie between Ki and Charla.. don't make me decide! hi :) i've been a follower on blogspot for a few months now and my favorite zoya color is demi. My favorite color of Zoya polish is I think Charla, but I wouldn't know for sure because I've never actually owned any Zoya polishes. >.>"
i have been following your blog for 1 day. And you are the only blog that I am following. But I have read every single post. I'm a follower through GFC for something like 4 days now :). My favorite Zoya polish is Shawn. It's the only one I have! My favorite Zoya color is Lael. I've been following you for a few months now. My fave Zoya polish is Envy! I follow with GFC and Bloglovin. It has been about 6 months I think, maybe longer. I can't even figure out how to tell. My favorite Zoya color is Kotori. I`ve been a follower through GFC for about 5 months now. I have bee following you for about 2-3 months now...you have been so inspiring! And my favorite Zoya color is Kelly! Thanks for these awesome prizes! I follow The Daily Nail on blogspot! I've been following for over a month! My favorite Zoya color would have to be Rihana (its the only one I own)! I am a follower thru GFC and I've been following since your third month. My all time fav Zoya color is Veruschka.....just divine. Thanks for all yr giveaways and the great dailoy reading! I've been following through twitter and GFC for a bout 2 months I think! My favorite Zoya polish would be either Michelle or Trixie! I really admire you for your creativity and dedication to this project! I've been following you for about a month now and I think my favorite color is Star, so pretty! I've been following for a while now. I just love this blog and it's creativity it shows. I think out of all the colors from Zoya, mine has to be Sabrina. I've been a loyal follower for about 9 months! My favorite Zoya polish is Tallulah, I'm normally no a big fan of blues, but this color is exquisite! Hi! I;m your follower since June. Following you for 6 months via RSS. My favourite Zoya es Valerie! I started following TDN via RSS feed in Outlook about a year ago and right now I follow the blog via Bloglovin' (wich is great!) and Twitter. My favourite Zoya color would be Tangy. I've been following for over a month now. Went through all your archives immediately. My favorite is Posh. I follow your blog about six months. At this very moment I love Shawn, I am in my green period! Hi! I'm brand new follower but I read your blog for a few months. I don't have any Zoya nail polish but I think my favourite color would be Anastasia. I've been following The Daily Nail since spring time - I went back through to read your posts from the beginning. My favorite Zoya is Kierra - I LOVE purple nails! I have been a follower since this summer :) My favourite Zoya nail polish would have to be the matte Dovima! I have followed the daily nail on blogspot since february on bloglovin and through GFC since the home sweet home contest. My favourite Zoya polish has to be Ivanka, it is absolutley gorgeous! Hello!I'm an old follower and I've been following via GFC since May! My favorite ones are Edyta and Southbeach Ice. And a big thank you for the giveaway! Woo, this prize (like all others) is awesome. I've been following your blog for over half a year now officially, and stalking it for much longer than that. Hard question you pose there, it's a 4-way tie between Raven, Tori, Indigo and Colbie. I'm a sucker for subtle shimmery-holo-y polishes. I follow you since december 2009 via GFC. One of my favourite zoya polishes is Zoya Harley. hi I've been following since september via GFC. My favorite zoya is "MIA" because it is a really unique pink. It's almost "smokey" in a way. I have been following for a couple of months now. I actually don't have a favorite color of Zoya since I am unable to get some where I live. I'll have to order through the internet. I've been a follower for over a month on your blog as well as checking out your page on Facebook. I'm new to a lot of the brands you use and haven't used Zoya before...love the metallics for the holidays though! I've been a follower since your blog was featured on MSN's homepage a few months ago..
My favourite Zoya nail polish is Zoya Nail Polish | Indigo and Zoya Nail Polish | Kotori. I've been a follower since a couple of weeks. .
i'm following you via GFC. i've been following you nearly for one month. my favorite zoya is charla. I've been following since blue man group nails! my favorite zoya color is happi. idk if you have it but you neeeeeeed it! Following for 10-11 months or so. I only have a few, but my favourite is Posh with a top coat. It's the perfect red for me. I've been following your blog via RSS for probably 2 months, and you are right up top on my home page :) Definitely the first blog I check everyday! I have never owned any Zoya polish, but since I've gotten into the whole nail thing, I have been lusting after Charla. It looks GORGEOUS! I've been a follower on Blogspot for about 4 months. Honestly, I don't have any Zoya polishes, so I don't have a favorite color, how sad is that! Hi I have been following for a little over a week now, but i have been looking at your blog for a couple of months. My favorite zoya color nail polish would have to be vegas freeze. I love the purple shimmer. Ive been following with GoogleFriendConnect for about 4 months now. I think my favorite Zoya color is Jo and I don't even have it! I've been a follower since February, but officially, since a few days ago( I had this site bookmarked). My favorite Zoyas(can't pick one) are Adina, Garbo, and Manon! I've been a follower of your's for about a month and I love your designs! My favorite zoya polish is deffiatley Happi. I love the way the color works with my skin tone even if it is a pink. And I really don't like to paint my nails pink... its weird! My favorite Zoya polish is Ki. I've been reading your blog for a couple of months now (I think since June). Hi im a new follower. my friend crunkstal told me about you ! My favorite zoya nail polish is tangy . i love how the green is so light and beautiful. Thanks for doing all the give-aways! Please enter me! I've been following for a couple of weeks. I don't have a favorite Zoya polish because I've never tried any of their polishes. That's an awesome prize! I've been a follower for quite a long now, and I've been reading and been surprised by all your amazing nail designs. I've been following you for about a month or so now. After looking at all those beautiful colors I really like the Valentina color. It's such a rich pretty red! Hello! I officially signed up as a follower today but have been reading your blog for months. I adore nail art and am constantly looking for new things to try. Plain nails just don't do it for me anymore. The colors in this giveaway are gorgeous and I would have a blast coming up with new designs with them. Hi--I've been following since the spring, love your blog! I love all of my Zoya colors, but my favorite would have to be either Envy or Indigo! Thanks for all of these giveaways! WOW I would LOVE to win this one!!! I absolutely adore the Zoya formula but I rarely get to buy any shades. Usually, I tell myself I'm on a no - buy and then most of my polish purchases are spontaneous "in-person" buys when my self-discipline is running low, which means, no Zoya since I don't have access to Zoya in person. I absolutely LOVE the few that I do have, especially Irene (what a great olive green) BUT I am just DYING to try Ivanka and this new collection. Oi, and I didn't even mention how awesome the color lock systems looks! I've been following the Daily Nail for about six months now and I absolutely love it! 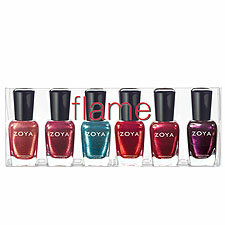 From this Zoya Flame collection, I would have to say my favorite polish is Crystal. It's just fantastic! Thank you so much for all these great giveaways! Can't wait to see more of your nail designs!! it has been 3-4 weeks now that i have been following your blog. my favorite zoya color is Charla. When i wear this polish i can not stop looking at my nails. hah it's very distracting but in a good way! I have been following since September and I spent all night going back through the archives and looking at all your designs. My favorite Zoya color is Yasmeen, it is so beautiful. I have been a follower for a little over a month, and it has become quite an addiction! My favorite color Zoya polish is "Midori", which I don't currently own. My favorite Zoya polish in my collection is "Gilda". Currently I only have one Zoya polish, since I just learned about them a couple of months ago and have had a hard time locating any, so that must be my favorite! Zoya Cheryl is not only beautiful, it has my Mom's name! I am dying to get my hands on Crystal though, as well as several other Zoya polishes. Such a great brand! Thank you for organising giveaways! I look forward to more awesome designs of yours. I've followed through blogger for about 4 months. Yasmeen or Adina would probably have to be my favorite but with soooo many awesome colors it is so hard to narrow it to just one! I've been a follower via GFC for at least a few months. Your nail designs were simply out of this world! I've only used a few Zoyas but my favorite so far is Zoya! I love the flash of gold in the light purple base. Im a new follower, following since June. Ive never had a bottle of this before because its not commercially sold here in the Philippines. But I'd love to try out one and my eyes are on crystal and valerie. HI! I've been a follower on GFC for a little while, is there a way to know how long?? Anyway I love all your designs and i loved the one you did for John Lennon's anniversary. And I never owned any Zoya! Can't seem to find them anywhere in Quebec! I'm an official follower through GFC as of last week, but I've been checking back daily since about January. My favourite Zoya colour at the moment is the grey creme from the wicked/wonderful collections...Kelly I think? Love it! I've been following since August, and I don't own any Zoyas, but I really do want to try Zoya Cheryl. Haha I think that's obvious huh. Hello. I've been following your blog since Day 28...your nummy bacon nails! I follow you via RSS subscription and GFC. My favorite Zoya color is Roxy! I can't find another polish quite like it. I've been following for 6 months and my fave Zoya is Isla. It just absolutely stuns me every time I wear it. I've been following your blog through GFC for a while now. Can't say for sure how long, but I remember Day 92...the five star mani. I still want to try to recreate that beautiful look! My favorite Zoya polish is Charla. I know it seems to be a crowd favorite, but I do really like how it looks like a mermaid in a bottle - all that gorgeous blue and green sparkle! I have been a follower of you for quiet a few months now, I am not sure exactly when. I love your nail designs! I've been following through GFC for just a couple weeks. The only Zoya I own is Charla and it is amazing. But, coincidentally, Michelle looks like another great colour for me. I might have to get that. I've been following you for a few months (don't remember exactly when). I actually don't own any Zoyas but I drool over them every time I see a swatch. I found your blog around Day 40, but I lost track of it and didn't get a chance to follow until day 200 or so. My favorite Zoya color right now is Astra, but I only have a few! I've been a follower for about three months now. My favourite Zoya Polish is Charla, love the mermaid colour. Hi! I have been following for about two months now and have loved every day of it! My favorite Zoya color is a toss up between Indigo and Jo, I am such a sucker for sparkly blue awesomeness! I've been a follower for a a little over 6 months now. Don't worry, I've gone back and read everything I've missed!!! My favorite Zoya Polish is Ivanka....I'm a huge fan of green polishes, it works well with my red hair! Oh my goodness! This is the best give away ever. I love love love Zoya. My favourite colour this summer was Robyn. I wore it so much! Especially on my toes. I've been following your blog for just a week now and I'm bummed I didn't know about it soon. Hi! I've been a follower for 3-4 months now (I follow on bloglovin as sofilee@hotmail.com) and Zoya Sativa has got to be my favorite! Suuuuuch a lovely purple. I haven't had many opportunities to try out Zoya though, so I don't really know. I've been fallowing since September. My favorite Zoya nail polish color is Indigo - it's just sooo beautiful color. I've been following your magnificent work for about three months. My favourite colour by Zoya is Paz. I love bright colours. Awesome guveaway, by the way. I've been following for about 2 months! i have been a follower for only a few days. but email subscriber for 4 or 5 months. I've been a follower since Wednesday but a reader since August. My favorite Zoya color is Bijou... It is my favorite pedi color for the summer! I don't own any Zoya but I really like Kelly from what I've seen in pictures! Been a follower for a couple of months. I am going to go with Edyta as my favorite shade of Zoya, especially at this time of year. I just now started 'following' your blog but I've been subscribed via Google Reader for about 2 months. I love your designs and you are so creative, I'm jealous! I've never tried a Zoya but I like the looks of the 'Crystal' nail polish! I have been following since crayola crayons which again are my favorite nails. I really like them and want to do them so badly on my own nails! I really like the Zoya red pictured at the top of this post but I recently went and got a pedicure from one of the local beauty colleges and she had this black with green and blue flecks in it that was awesome! I know I wrote down the name somewhere but I can't find it! I've been a blog follower for a little over 2 mos & I also follow on twitter. I'm new to Zoya, having bought 3 polishes in the last 2 weeks and I got the free promo Vampy Kiss set. So, from the Zoya's that I own, my faves are definitely Edyta & Trixie!! I can't pick just one! I've been following for a few months, but reading regularly since the KISS nails. My fave Zoya is Ivanka. Greeny, matte goodness with a subtle shimmer, mmmmmmmmmmmmm! Hello, I've been following for about 6 months. I first saw your pictures on another blog site called Tumblr and I've been hooked ever since! I absolutely love Zoya's Julieanne & Edyta! I've been a follower since May (RSS feed) and my favorite Zoya color is Dovima. Hi! I follow via GFC for around 4 months now. I love your blog! My favorite Zoya polish would have to be Ivanka. It's just such a gorgeous green and I love the sparkle. 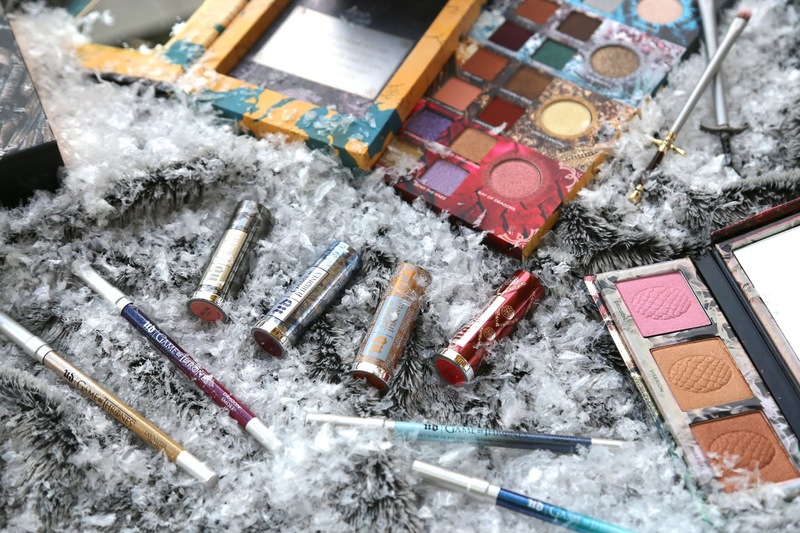 In fact, that entire Sparkle collection makes my mouth water. Love it! Hey! I'm a follower through Google Friend Connect and I have been for a couple of weeks. I've never tried a Zoya polish before but I've always been tempted! Thanks so much. Thanks for such a great giveaway. I have been a follower since day 108. Every day my step daughter and I have to look at your nails. I'm so glad you did something like this. I would have to say I don't have a favorite ZOYA nail polish because I haven't ever used that brand before. I haven't found a locate beauty supply store that has sold it. I have been dying to try it. I would love to win and try it out. The colors look awesome. Thanks again for a great giveaway. I've been a follower since you did the twitter bird design on your nails. I was googling something else and came across them then went back and looked at your whole archive! Hard to pick a favorite Zoya but I think I'm gonna have to go with Dea, it's pretty much my favorite brown polish in my entire collection. They have so many great polishes though, I love them all! I've been following since bacon nails! My favorite Zoya poilsh is Charla (even if there are so many dupes haha). I have been a follower for a few months now, and i have watched all your nails design and trying to do my own and my friends in the most crazyest designs. I have been a follower for a couple of weeks now and I am sad that I didn't find your blog sooner. I did however, go back through all of your posts and I must say that you are amazing! I would kill to be even half as artistic as you! I don't own any Zoya polish yet, see that is why I REALLY need to win this giveaway!! Looking at polish blogs though I do think that I would be a big fan of Pinta, it looks like a beautiful dark purple that would really flatter my skin tone! and i love all the colors! I've been following you since January. My favorite Zoya polish is Shivon. I've been officially following since August, though I've been checking the site almost daily since January. My favorite Zoya color is Kate. I've been following for about a week, but I've been reading for several months. My favorite Zoya colors is Sylvie. It's very pretty. I've been a GFC follower for a few months. I actually don't own any Zoya at the moment, but I placed an order last week, and they should be arriving tomorrow. But the color that caught my eye was Kelly. I've been a follower since about Valentine's day! I don't actually have a favorite zoya color because I'm not very familiar with the line b/c I have yet to find a place to buy it locally. I'd love to try it though! Can't wait to see the next 365 nail designs! Ive been a follower since 4 months! I really love ur designs. My favorite color is deidra, looks like a sweet cake!! My favorite Zoya polish so far is Eve. I have been a follower for about 10 months. My favourite color is Clara. I love their corals! I've been following for a very long time! My favorite color is eve. I've been reading for 6 months and following for about a month. My favourite Zoya polish is Ginessa! Hello! I,ve been following the daily-nailfor about 6 months and i love it! I don't have a favorite Zoya color , because i don't own any of their polish at the moment:( I would be really happy to try them! I've been a follower for a few months now. Although they have a lot of great colors, my favorite is Charisma! It's my first neon, and I just love the color (although I've never seen a proper photo of it). Hi! I've been an official follower for a month and my favorite Zoya color is Lanie. I have been a follower for a couple months now and my favorite Zoya color is Shawn! I've been following you and your amazing creations for two months! I'm addicted now though, haha. My favorite Zoya polish would have to be Dharma! Thanks for the great giveaways! I've been a follower for about 2-3 months now. I think my favorite color is Zoya Gwin! Gorgeous! I've been coming to the site since Decemberish but not an official follower until a couple of weeks ago. I've been following you for a few months, and loves all of your awesome designs! My favorite Zoya color is (I think) Alegra, but there are SO many awesome ones! I've been a follower for a few days but a reader for a little more than 3 months. ive been following for 10 months or so and I'd have to say my favorite color is definitely Trixie!!! I've been a faithful follower for almost 9 months, you're one of the first bookmarks i check each day! Great giveaway! I've been following for about 4 months now, your freehand skills rock! My favorite Zoya polish is Ivanka, all that green glitter is gorgeous. I've been following since the first month (twitter too!). My favorite Zoya (of the 4 I JUST got and the one I had before) is Delilah. SUCH a gorgeous red!! I've been following since May of 2010! so about 6 months or so! Love your blog! I do not own any Zoya polishes because I don't really spend a whole lot on polish, so this giveaway would be SUCH a luxury! I would love to have the polish named Sarah because it's my name. :) Plus it's red. That's my favorite color of all time. I follow on GFC and I've been a follower for a few days now, although you've been on my reader for a few months. I've never actually tried Zoya. :( But when I make my first purchase I'm getting Ibiza. Blue is my favorite color period and the color I put on my nails the most. But a sparkly navy blue? LOVE. Hi! I have been following for awhile, since April or March, but Ive read all of the posts. I don't have any Zoya polishes yet tho, bot Ive seen so many that look so good to try! I've been following for about a year, on google and netvibes. If I have to choose a favorite Zoya, it's a tie between Ivanka (makes my fingers look like emeralds!) and Zara... just because it's so insanely pretty. I've been following your blog for 320 days on blogspot as well as Twitter. Your blog is so inspiring! My favourite Zoya colour is Delilah. It's a fantastic red! I've been following the blog for a few weeks now, I also "liked" the Facebook page. my favorite zoya color is Happi..a beautiful pink with golden shimmer. Gorgegous! I've been following via GFC for about 8 days, but via my reader for longer. My favorite polish is Zoya Ki. Beautiful! Hi! I've been reading your blog since November/December last year, and I think that I've been officially following you since the beginning of this year (I can't for the life of it remember exactly when xD). My fav polish has got to be Charla. I've been following for quite a while. :) I don't have any Zoya colors, but Kelly looks beautiful and Gabrielle is pretty too! Ive been following since "There's no place like home" but I've been visiting your blog almost daily since january. b) the color isnt your average flat(or glossy) pink, it looks like it has a hint of gold mixed in. I've been following just about a week or so. I'm addicted! My favorite is the new color "Valerie". That's a must buy for me. My friend had it on this week.....so pretty! Hi! I´ve been following dailynail for about one month. Well, there isn´t a single color of Zoya that I don´t like but my favorite is Ivanka! The Lap of Luxury - WINNER! A 'Pendant' for Polish! - WINNER!! you Set My Hemp A-Flutter! - WINNERS!! 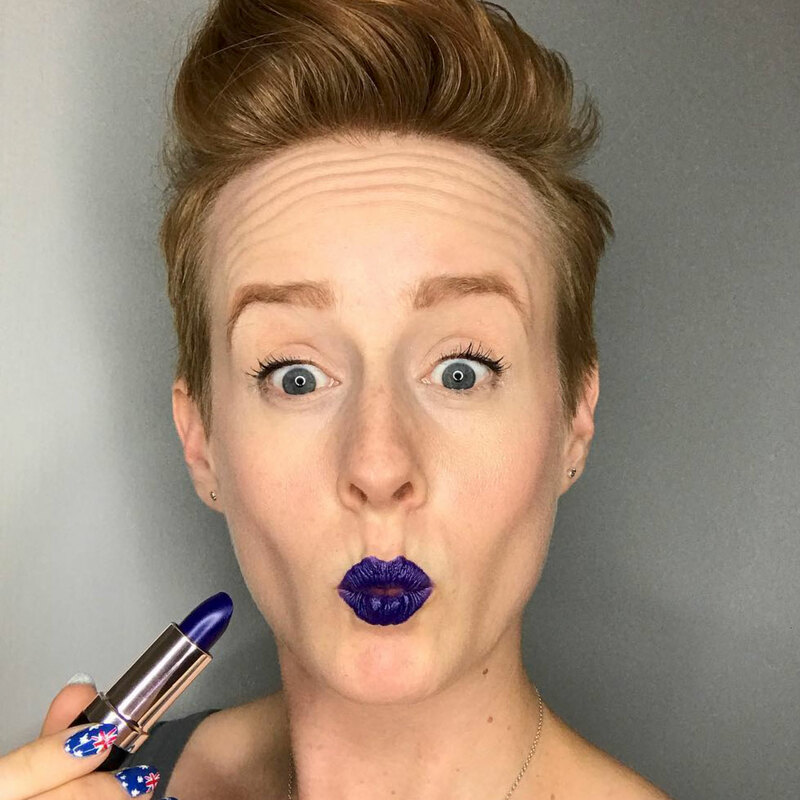 A Glaze-ing Seche-ion - WINNER!!! You Set My Hemp A-Flutter! You Continuously Deserve Royal Treatment! Thank You, Chrome Again! - WINNER! Smashbox Cosmetics Sale on Hautelook! The Pen is Mightier Than the Sword! - WINNER!! Thoughts, Prayers, Positive Vibes Needed. There's No 'I' in Blog. Vincent Longo Sale at Hautelook! La La La La La La La La La La Laaaaaa. Lauren Luke Cosmetics Sale on Hautelook!